Governor Kate Brown of Oregon. 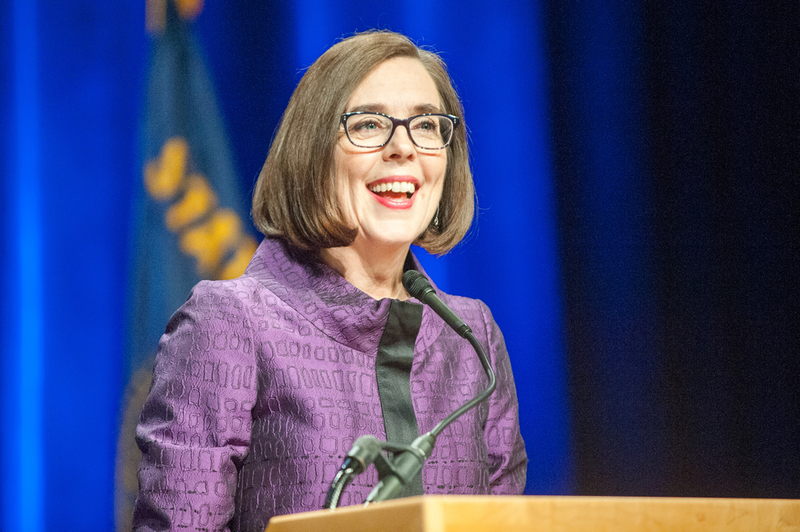 Kate Brown has been the governor of Oregon since February 2015, when she stepped up after the scandal-driven resignation of former Governor John Kitzhaber. Before that, she was Secretary of State. She stepped into a political mess, and handled matters with grace. She continued to prove her worth through a difficult two years. During those years, Oregon had a mass shooting, a 41-day armed occupation of a wildlife refuge that caught worldwide attention, a state-wide drought, and an oil train derailment on one of the most important West Coast rivers. It was a challenging term to say the least. She more than earned her re-election this November, and few would say otherwise. Let us state it plainly—On November 8th, 2016, Oregon elected the first openly LGBT governor of a state in the U.S. She’s openly bisexual, after having been outed in the 1980s before she entered politics. But Brown is not the first LGBT governor. Jim McGreevey, governor of New Jersey, came out as gay shortly before he resigned in 2004. However, she is the first to be elected by a voting block which knew that about her. She’s the first openly bisexual statewide officeholder as well. Brown is married to a man and has two step-children, and she could easily have downplayed her sexuality or attributed it to her youth. Many have before. But she didn’t. She was open about it during her campaign and explained why. In this ugly election season, it’s good to have that kind of an image.